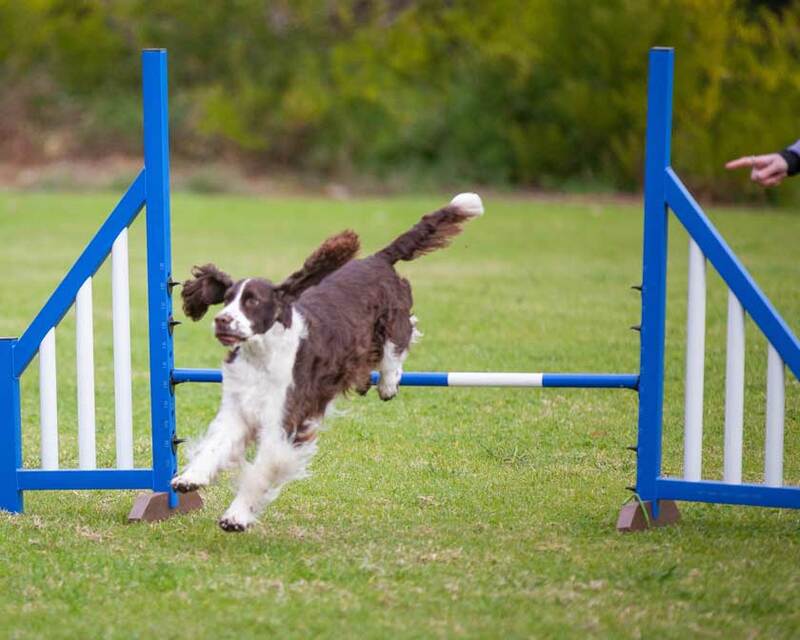 Wollongong Dog Sports Club Inc. is an agility club for dogs and their handlers. Welcome to Wollongong Dog Sports Club Inc.
We hope that you, and your canine companion will have many hours of fun while learning new skills and making new friends. 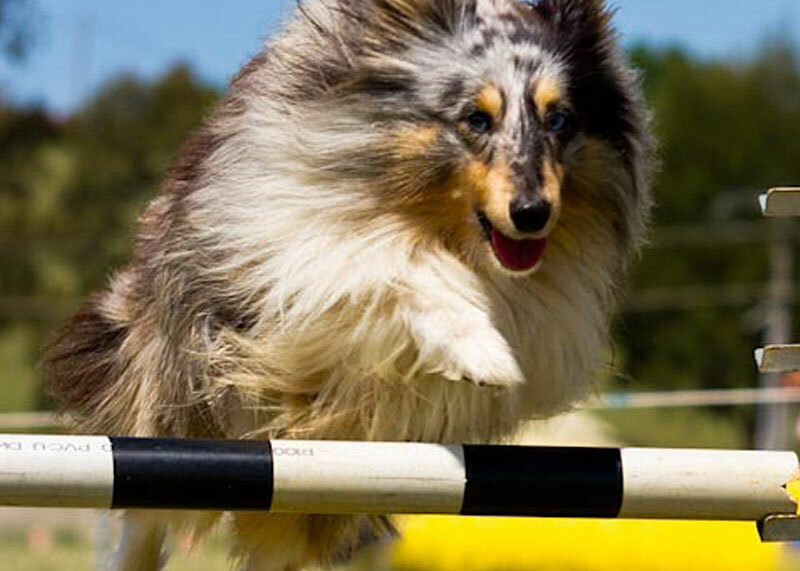 Canine Sports that our members participate in include: Agility, Tracking, Herding, Obedience, Showing and Flyball. Your first night is FREE!! Join us on Tuesday nights from 6:30pm at our training grounds - Figtree Pony Club, O'Briens Rd, Figtree. Our club itself mainly concentrates on the sport of agility. 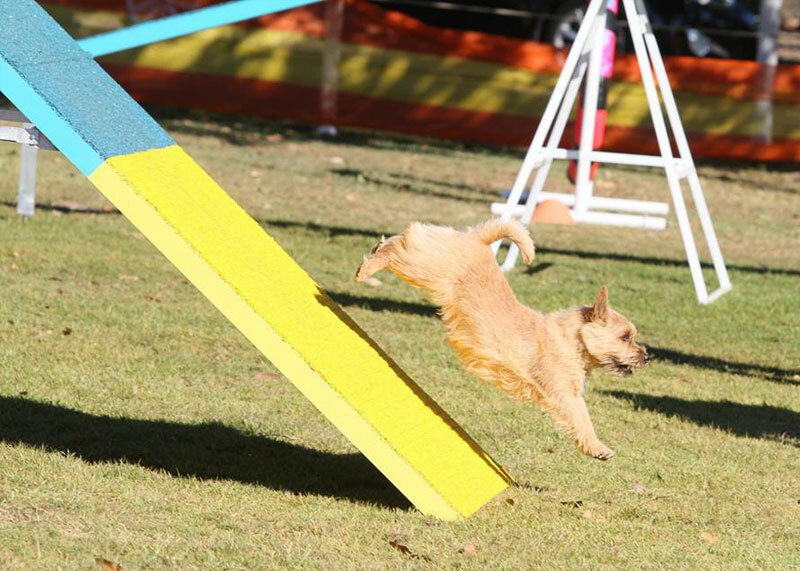 Dog agility is a sport where a handler and their dog are given a set amount of time for the handler to direct the dog through an obstacle course. The handler is not allowed to touch the dog or the obstacles. People brand new to agility should come along on the first Tuesday of the month - February, April, June, August and October. Agility was originally modelled on equestrian jumping competitions but the sport has evolved as it has grown internationally. 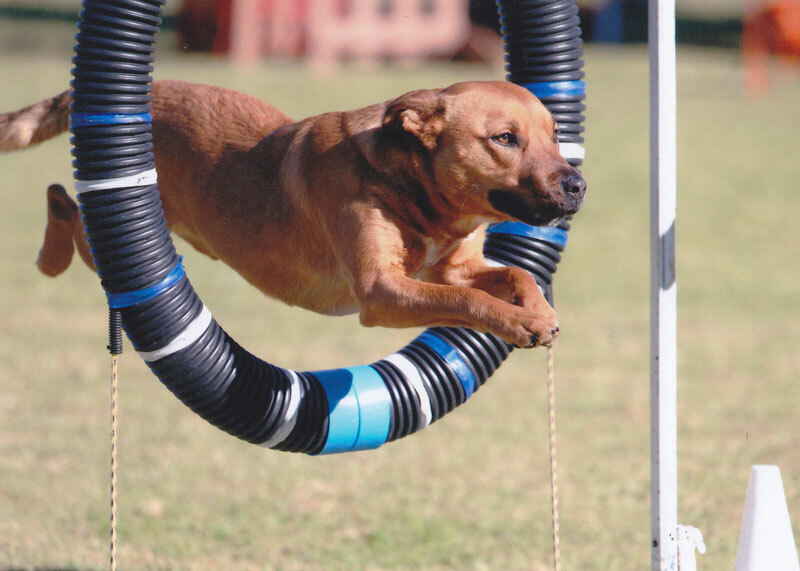 Agility made its debut in 1979; it has since become the most rapidly growing dog sport in England, Western Europe and North America. 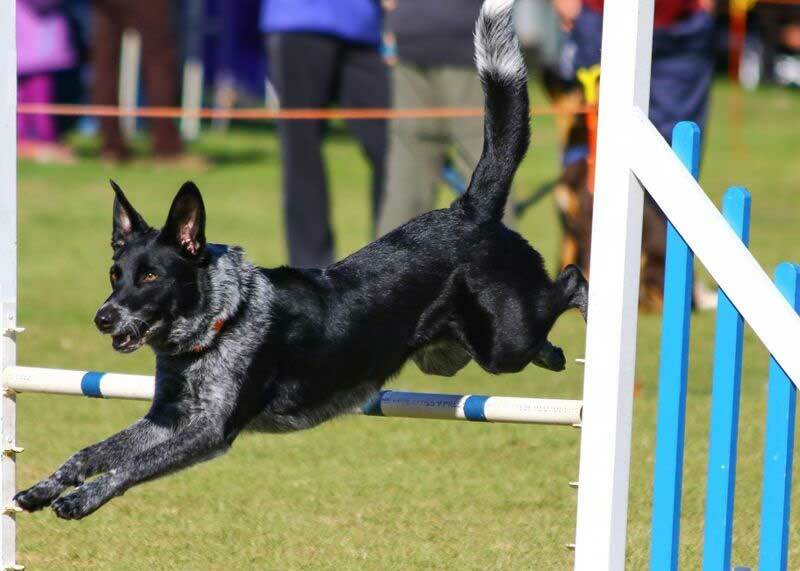 Spectators continue today to get caught up watching the dog and handler’s enthusiasm in their race against the clock as they direct their dogs to jump hurdles, scale ramps, burst through tunnels, traverse a see-saw and weave through a line of poles. 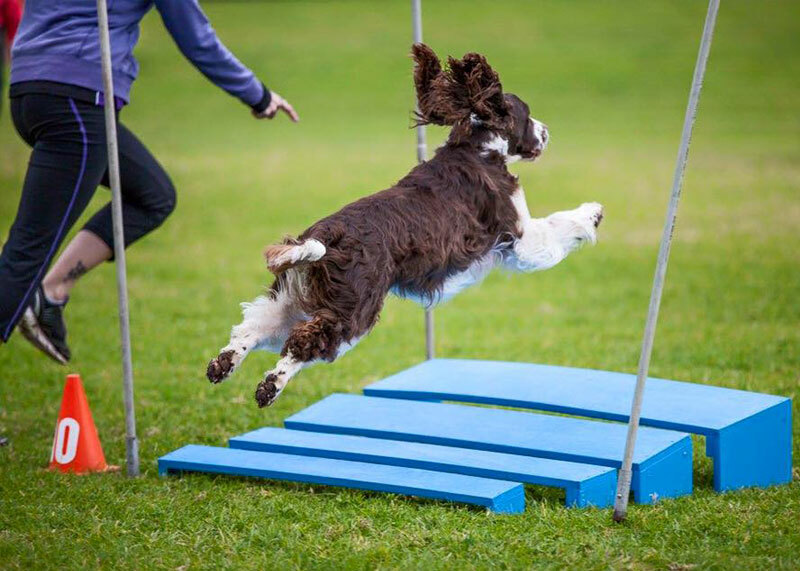 With scoring based on faults similar to equestrian show jumping, dog agility tests the communication and relationship between the handler and their dog. © Copyright 2019 Wollongong Dog Sports Club Inc.